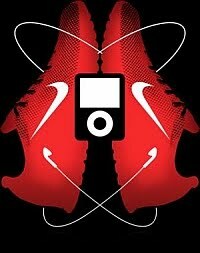 A while ago I wrote an article I titled: iPod and Nike, a match made in marketing. It isn't a long article, but in short, I slammed the idea as nothing more than a lame gimmick to get people to buy more stuff. I even went so far as to say "I wouldn't be interested at all." Two years later I have to say the following: Not only is it a gimmick, it is the coolest freaking gimmick in the world. I said I didn't see new runners being motivated by this scheme. WRONG. I also said I didn't see current runners getting into it either. Again, WRONG. A friend of mine mentioned that he had picked this up and was really enjoying his first foray into the world of running. The more we talked, the more intrigued I was by the idea. There was, however, one problem: I only have a 30 gig hard drive based iPod. The system only works with the Nano (they don't want to encourage people to jostle their hard drive around and then call them when it stops working). Wait, what I meant to say was I only had a 30 gig iPod. Being the sucker I am, I now also have a 3G black 8 gig Nano. I now also have the Nike+ sport pack. This morning I plugged it in, put on my new Nike+ shocks shoes and fired up some good tunes (a little Testament at 5 am). I told the iPod I wanted to run for 30 minutes, then hit start. Then I started running. Well, okay, jogging. Calling it running is a bit unfair to, well, running. After five minutes a voice calmly let me know I had been going for five minutes. I pushed the select button and that same voice told me how long I had been running, how far I had gone, what my current pace was. Once it was all over it told me how far I had gone, how many calories I had burned (calculated pretty well based on your weight which you enter), and what my average pace was. I then plugged my iPod into my computer and all that information was uploaded to my Nikeplus.com page. On my Nike+ page I now have goals. I also joined a competition for beginning runners: the first to run 50 miles. I might not win, but heck, I might. And if I don't, I have something to work towards. Overall, I love it. Sure, I can see that it is a gimmick. But I actually see it as a very motivating gimmick. I actually didn't post this the day I wrote it, so I have had a few more runs since then. I still love it. Lance Armstrong congratulated me yesterday on my longest run yet. The past few times I have told it not how long, but how far I want to run. It is great, because I don't have to mark out a course. I just start running wherever I want and it tells me when I am halfway, almost there, etc. Very, very cool. ASaxyGirl: go for it. I think you will find it nicely motivating.